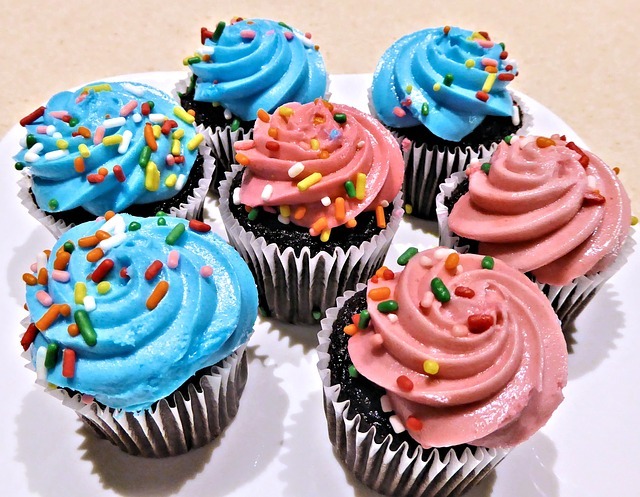 Can you think of anyone who does not like cupcakes? Well neither can I. They look great, taste great and are a huge hit at any party. Now of course this type of bun making has been around for many years. It is only recently, within the last 5 years, that making cupcakes has been taken to a whole new level. It was therefore only a matter of time before the big kitchen brands quickly launched the now familiar cupcake makers and machines. It is a small cake that is made to be eaten by one person. Typically these are baked in a small thin type of baking paper or more commonly inside an aluminium cup with ridges. They are then topped with some type of cream, icing and decorations. There are many ways to do this of course ranging from the very basic to the much more advanced. These were better known in the UK as “fairy cakes.” Going a long way back in history these types of small cakes were actually baked inside a pottery style cup (ramekin) which explains the true origin of their name. Today any cake that is roughly the same size as a traditional teacup is considered to be a cupcake. These are also associated to the way in which cakes were made back in the day. Modern day recipes are quite precise and will use ounces or grams to measure out ingredients. Back in the day recipes would have referred to cups and standard sized cups were used for those type of measurements. This one can make 6 cupcakes and is the most popular choice for most bakers ad buyers. As you can see from the image it is certainly a nice looking machine, but more importantly it works like a charm, and bakes great looking buns. This product has sold a lot, and buyers at Amazon have rated this at 4.6 out of 5 stars. Do I need to say any more? It costs on average around £10-30. Always check the price on this one as it varies a lot depending on where you make your final purchase. At the moment Amazon have it a very good price point. You can check that here to see their best price. If you are looking for something that stands out from the normal type of kitchen appliance, then this pink cupcake makers certainly does that. This one only costs about £15 and has ratings of 4.5 out of 5 stars, so also very high and consistent ratings. For the price though you also get a few nice extras such as a washable piping bag that has 4 different sized nozzles, 50 pink bun cases and it comes in a nicely styled gift box that also includes some good recipes and some suggested decorating guides. You can read more about this cupcake maker by clicking here. Now what is becoming even more popular for parties are mini cupcakes and these are certainly starting yet another party style trend. So rather than trying to eat the full cupcakes, people are making smaller versions of these, which I think is actually a pretty cool idea. You can see a sample of what these can look like in the image below. The sample above was made by this “Retro” styles cupcake maker. As you can see it is also a pretty neat looking kitchen appliance. This one is easy to use, easy to clean and can very quickly make 8 mini cupcakes, while you get on with doing other things. This little gadget gets pretty good reviews and for under £8, I think makes it pretty good value for money. It is a really nice option though and one that will suit many kitchens. You can read more about this one by clicking here. Video – How To Make Cupcakes with a Cupcake Maker?